Since 1899 when the first motorcycle came into Georgia, you’ve been in the world of motorcycles hubs. You guys are in the top 15 highest motorcycle populations, and The Suches Loop in the Chattahoochee National Forest was voted one of the best riding routes by MotorcycleRoutes.com. On top of all that riding down the Atlantic Coast through cities like Savannah and Brunswick is a highlight of any motorcycle traveler’s dream. You’re not just the land of the three P’s (peanuts, pecans, and of course peaches) and nice weather, your a motorcycle rider’s dream state. We know that riding is best done on a bike that you’re comfortable on and like to ride, so we gotta ask… how is your bike fairing? Has the old girl seen better days or just isn’t cutting it anymore? We know that rider’s styles and aesthetics change over the years, and selling used motorcycles happens from time to time. But how are you going to sell your used motorcycle? We buy boats too! Augusta, Georgia, on the Savannah river. You may be asking yourself “Where do I find used motorcycle buyers in Georgia?” well that’s where we come in! Sell-My-Motorcyle.com a nationally recognized brand of used motorcycle buyers. We travel all over the country buying used motorcycles from people near and far. 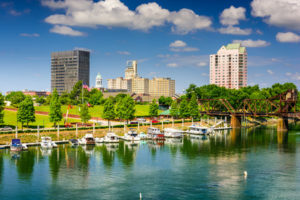 We’ve traveled to big cities in Georgia like Atlanta, Athens, Columbus, and Macon to smaller cities like Fort Oglethorpe, St. Marys, and Cedar Springs. 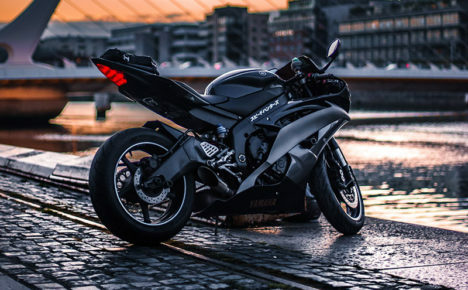 If you’re selling your used motorcycle… we’re buying! How does this work you ask? It’s simple. You fill out our online form telling us about your bike and we’ll get back to you for how much we’ll pay for it. It’s an easy and simple process that anyone can do. So what do you have to lose? Submit your bike today for a free quote! There’s no denying that Augusta Georgia is beautiful and riding your motorcycle there is a sweet trip. Something else that is really sweet is the marinas and boats on the Savannah River, right there in Augusta. Splitting the border with South Carolina from there you can see all kinds of boats. Sellusyourboat.net buys boats. So if you’re looking to move one or upgrade to something new, check it out. Sandy Springs Georgia is home to some beautiful locations. Locations like the Morgan Falls Overlook Park, Chattahoochee River National Recreation Area and the Abernathy Greenway Park make Sandy Springs a great place to visit. Like many parts of Georgia, Sandy Springs benefits from relatively warm weather all year long. Just south of Atlanta, Sandy Springs is a great place to be a motorcycle owner. With great parks and beautiful scenery, motorcycle riding is a great time in Sandy Springs. Also riding through those winding roads of Sandy Springs really is a joy to behold. The Sandy Springs area is home to a lot of motorcycle dealers. But what about when you want to sell your motorcycle? When looking to sell your motorcycle there are some traditional paths you can take. First of all you can try selling to a dealer. We all know how that will work out, they are going to low ball you and try to sign you into a new one. Even if you are not looking for a new one. There is always eBay. But have you seen the fees that they charge now? They will take a huge chunk out of your profits. Craigslist is another option, but you never know what kind of people you will meet there. 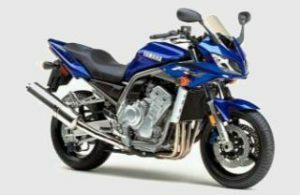 The simple no hassle way to find a motorcycle buyers Sandy Springs, is us, Sell My Motorcycle. Our whole process is simple and geared towards getting you a good quote for your used bike. Simply fill out our quote form. Then we will respond with a fair offer for your used motorcycle. Once we agree on a price, we will arrange pick up of your motorcycle and issue a check. You cannot get much simpler than that. We buy from all over Georgia, so when you search for a motorcycle buyers Sandy Springs, your best option is Sell My Motorcycle!